Raytech will be presenting at NWPPA’s Engineering & Operations Conference and Trade Show in Spokane, WA, located at the Spokane Convention Center. 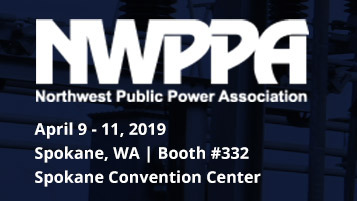 Northwest Public Power Association (NWPPA) is a not for profit association of over 150 public/people’s utility districts, electric cooperatives, municipalities and crown corporations in the Western U.S. and Canada. NWPPA also serves the networking needs of over 300 Associate Members across the U.S. and Canada who are allied with the electric utility industry.